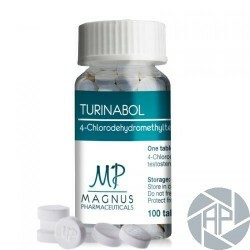 Turinabol 10mg Magnus Pharmaceuticals, Chlorodehydromethyltestosterone is a potent derivative of Dianabol. This oral steroid is structurally a cross between methandrostenolone and clostebol (4-chlorotestosterone), having the same base structure as Dianabol with the added 4-chloro alteration of clostebol. This alteration makes chlorodehydromethyltestosterone (Turinabol 10mg Magnus Pharmaceuticals) a milder cousin of Dianabol, the new steroid displaying no estrogenic and a much less androgenic activity in comparison to its more famous counterpart. The anabolic activity of chlorodehydromethyltestosterone is somewhat lower than that of Dianabol as well, but it does maintain a much more favorable balance of anabolic to androgenic effect. This means that at any given level of muscle-building activity, chlorodehydromethyltestosterone (Turinabol 10mg Magnus Pharmaceuticals) will be less likely to produce androgenic side effects. In the athletic arena, an effective oral daily dosage falls in the range of 15-40 mg of Turinabol 10mg Magnus Pharmaceuticals, taken in cycles lasting no more than 6-8 weeks to minimize hepatotoxicity. This level is sufficient for measurable increases in lean muscle mass and strength. A Turinabol 10mg Magnus Pharmaceuticals only cycle is actually quite rare since this particular steroid binds to SHBG. Allowing steroids paired with it to work at their full potential. Most everyone who uses Turinabol 10mg Magnus Pharmaceuticals. Whether for bulking (which is rare) or cutting – will pair it up with testosterone enanthate. These two compounds provide the perfect Turinabol 10mg Magnus Pharmaceuticals stack for beginners, as well. More intermediate users often pair their Turinabol 10mg Magnus Pharmaceuticals steroid with Deca Durabolin and switch to testosterone cypionate, which has a longer half-life and therefore requires less frequent dosing. Advanced users often shorten their cycles so they can use higher doses of their stacked compounds. 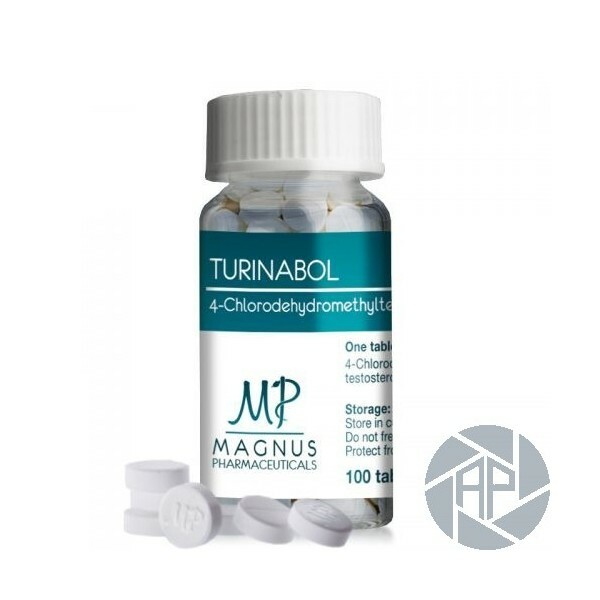 The most popular Turinabol 10mg Magnus Pharmaceuticals stack for advanced users combines the maximum dose of T-bol, a moderate dose of testosterone propionate, and a moderate to high dose of Trenbolone acetate. When it comes to putting together a solid Turinabol 10mg Magnus Pharmaceuticals cycle, athletes and bodybuilders must first determine whether they are interested in boosting their muscle mass or cutting fat; either is possible with Turinabol 10mg Magnus Pharmaceuticals. For the most part, when it comes to cycling, remember that the main purpose of this particular steroid is to enhance other steroids. There is one caveat, however; it is important to avoid pairing oral Turinabol 10mg Magnus Pharmaceuticals with other oral steroids that are known for hepatotoxicity, such as Dianabol. Be sure that you keep your cycle lengths as short as possible, especially if you are using the oral form. Not only does this minimize the risk of side effects, but it also helps to protect your liver. The higher your dose, the shorter your cycle should be. As an example, if you are taking 40mg of Turinabol 10mg Magnus Pharmaceuticals per day, you can extend your cycle out to as long as 12 weeks. On the other hand, if you are using the maximum recommended dose of 80mg per day, you should cut your cycle length to six or eight weeks at the most.